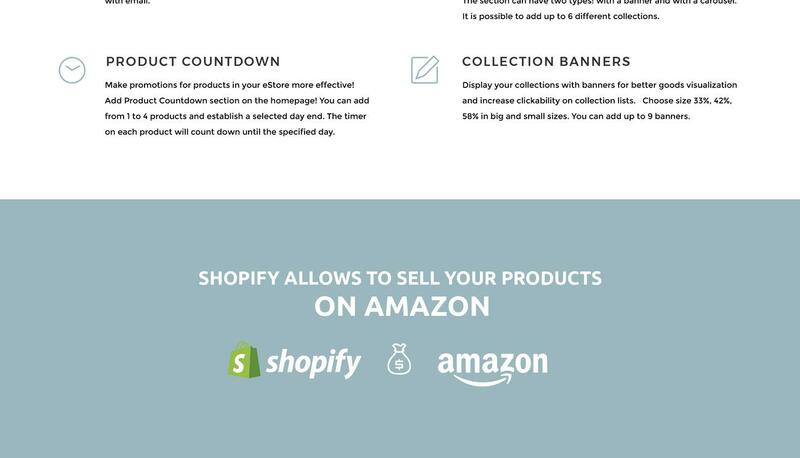 This Shopify template has a clean design developed to attract customers and provide them with comfortable shopping. It was built for businesses related to interior and renovation sphere. An e-commerce website is a great opportunity to boost your client base and provide new clients with your services. 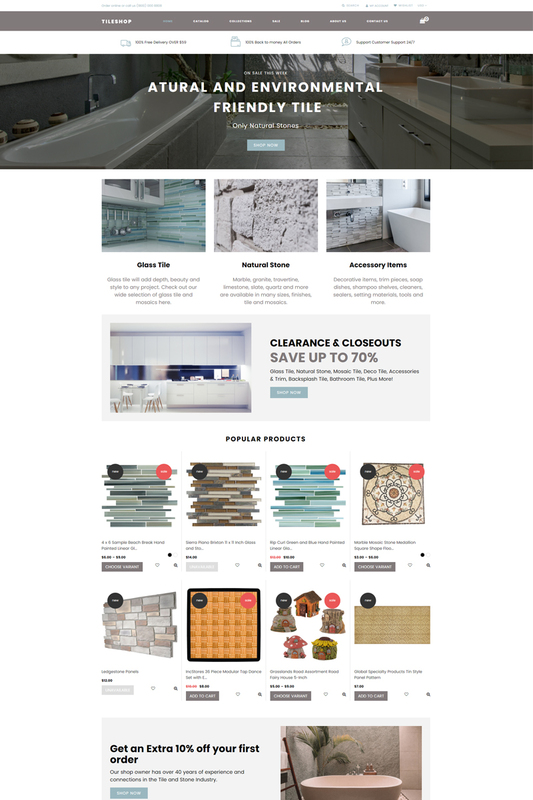 Due to full Shopify e-commerce pack, Tileshop provides your website with cart button, wishlist, and currency options. Fast search, professionally developed structure and many pre-built pages will be useful in providing you with intuitive navigation. If you want to advertise your business you can use social options and spread information via Facebook, LinkedIn, Twitter, YouTube, and Instagram.